These original photographs were taken by Captain Colum Legget of the Bahamas Maritime Authority. Captain Legget was responsible for Port Safety Inspections of vessels calling at The Bahamas between 1998 and 2001. Many thanks to his friend Captain James Hood for sharing them. I let the photos speak for themselves, with short captions as they were found on the back of the photos, which were mailed from the UK in April 2014. I encourage readers to send in photos too. Short essays on each of the ships photographed here appear under their own individual blog posts. Captain Moxey, Emmett Cephas (white hull), & 1 other boat (left), Potter’s Cay c.2000. Cavalier I, Potter’s Cay – not strictly a mailboat, owned by Cavalier Construction Company. Grand Master (left), North Cat Island Special, and Mia Dean from the bridge, c.2000 – see this blog for individual essays or posts with photos of each vessel. Lady D in Bimini, with two other mailboats in background, possibly the Captain Moxey and the Sherice M who share the navy blue color scheme and same general design. A landing craft with cargo, Bimini. Possible name “Beach” but hard to read. May be one of the fleet of such craft doing spot voyages throughout the Bahamas and owned by Michael Oakes. 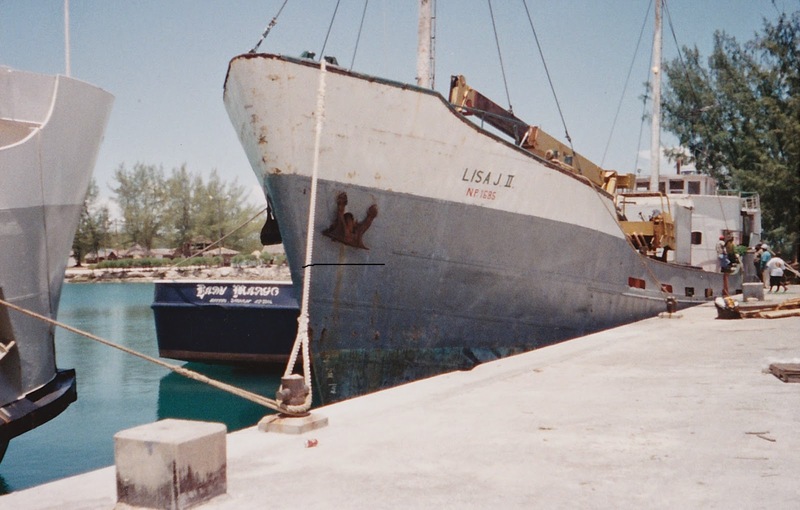 Lisa J in cargo operations in Andros, c.2000. From her unusual design she appears to have been a European Ro-Pax passenger and roll-on-roll-off vessel? In fact she was the Danish Ro-Pax “Runden” which was sold from Danish to Bahamian owners in 1999 then on to Honduras. 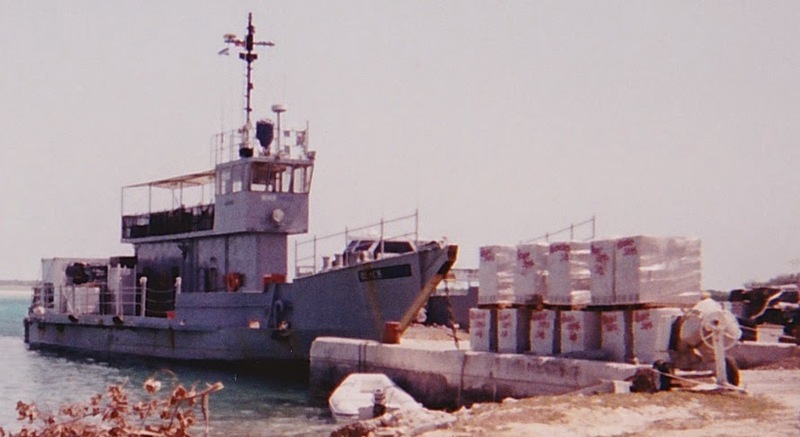 Lisa J preparing to load or discharge cargo of cement bags and bricks, Andros, c.2000. Marcela III from starboard bow, Potter’s Cay Dock, Nassau, Bahamas, c 2000. 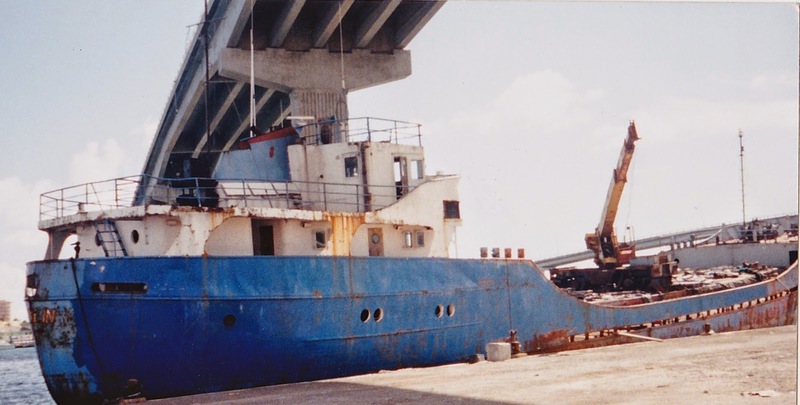 Note the boat trailer slung haphazardly over the bow – the wheels hanging over the port side. Also one wonders what the “T” emblazoned on the bow stood for…. Marcella III from port beam, served Nassau to Freeport, c.2000 before Mailboat Fiesta took over. 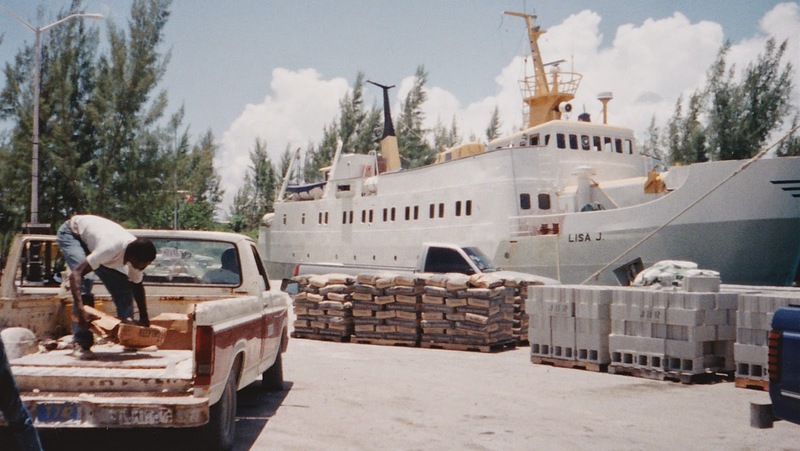 North Cat Island Special with cargo of a truck on the fore deck, Potter’s Cay Dock, c.2000. Treasure Lady, Potter’s Cay Dock, Nassau, 2000 (I believe she served Andros). She was built in 1981 as an offshore supply vessel in Morgan’s City, Louisiana. Still in service, she looks a bit worse for wear in this photo.